WE WOULD LIKE TO WELCOME YOU TO OUR OFFICE. OUR PRACTICE TAKES PRIDE IN PROVIDING YOU AND YOUR FAMILY WITH EXCEPTIONAL ONE-ON-ONE SERVICE. BETWEEN OUR OPHTHALMOLOGIST, OPTOMETRIST, AND OUR OPTICIAN, WE ARE EXPERIENCED IN ALL AREAS OF VISION CARE. 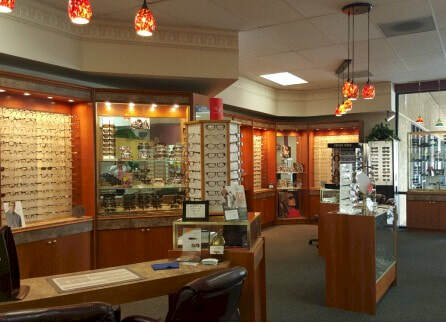 ​WE WILL ALWAYS PROVIDE YOU WITH A PRESCRIPTIONS FOR EYEGLASSES AND CONTACT LENSES AS NEEDED. DURING YOUR COMPREHENSIVE EYE HEALTH EXAM, OUR DOCTORS WILL EXAMINE YOUR EYES FOR CONDITIONS LIKE CATARACTS, MACULAR DEGENERATION, GLAUCOMA, AND OTHER OCULAR DISEASES. WE WILL ALWAYS ANSWER ALL OF YOUR QUESTIONS ANS STRIVE TO PROVIDE YOU QUALITY CARE.